The partially wrong focus of the recent Allensbach poll helps those who claim that Islamophobia is a bigger problem in Germany than anti-Semitism. It is not. Any realistic study on anti-Semitism in Germany should conclude that migrants from Muslim countries have more anti-Semitic attitudes and disproportionately to their size in the population commit more extreme anti-Semitic acts than native Germans. This is in line with the situation in the world, where by far the most extreme anti-Semitic incitement --- some of it genocidal --- stems from parts of the Muslim world. The reputable Allensbach Institute has published a study whose findings can only be read behind the paywall of the important daily, Frankfurter Allgemeine Zeitung (FAZ). It contains interesting data, but does not address the key issue mentioned before and is thus misleading. One of the study’s graphs shows that among supporters of the extreme right-wing party AfD, 55% are of the opinion that Jews have “too much influence in the world.” Regarding the other five parties represented in the German parliament, this figure varies between 16% and 20%. However, right wing anti-Semitic prejudice does not explain the fact that some Jewish schoolchildren are severely harassed by Muslim children. The threats of a Muslim classmate against a Jewish girl in a second grade Berlin elementary school class is a case in point. He said that she should be killed because she does not believe in Allah. The firebombing of a synagogue in Wuppertal in 2014 was carried out by three Palestinians. The court said that this was not anti-Semitism but an act of protest against Israel. It condemned the arsonists to a fine and suspended sentences. There are widespread stereotypes among native Germans about both Muslims and Jews. Jews are seen by 66% of the interviewed as 'successful', by 22% as 'keen on money,' by 20% as 'politically radical' and by 14% 'as hungry for power.' For Muslims the figures are 18% 'successful in business,' 12% ‘keen on money’, 46% 'politically radical' and 25% ‘hungry for power’. More important than stereotypes are criminal remarks and acts of violence. If all Jewish institutions require armed guards, this is mainly due to the threats coming out of parts of the immigrant Muslim community. 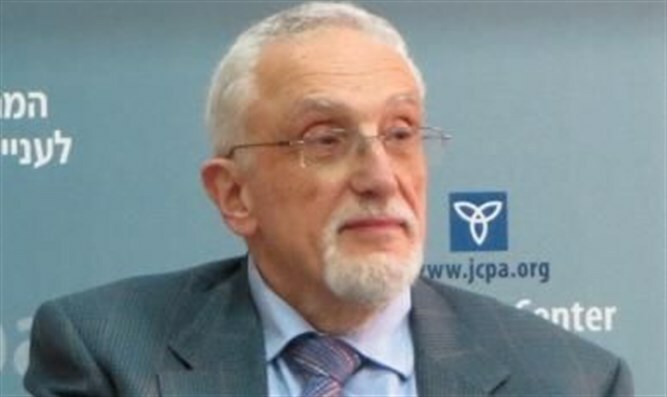 The president of the Jewish umbrella organization, Central Council of Jews in Germany, Josef Schuster, advises Jews not to wear kippot in public in major cities. The main reason for his advice is that hatred by Muslims sometimes results in violent acts. 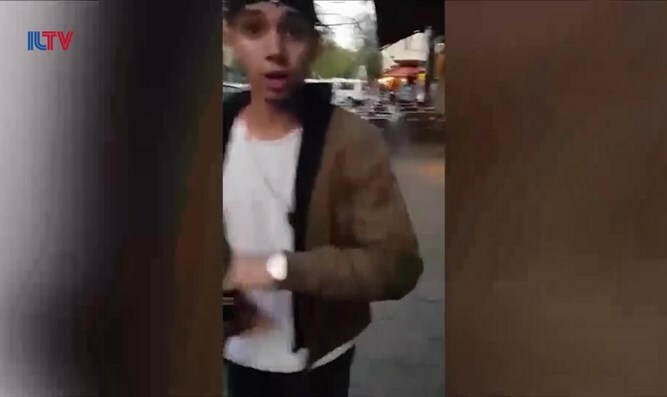 One recent case concerns an Israeli Arab, Adam Armush who didn't believe this and purposely wore a kippah in public in Berlin’s Prenzauer Berg neighborhood. He and his companion were attacked by three youngsters, at least one of whom spoke Arabic. Armush filmed the attack for the police and for the German people and even the world “to see how terrible it is these days as a Jew to go through Berlin streets”. The percentage of Germans who want to end the important role of the Nazi period in the public discourse declined from 66% in 1986 to 45% in 2018. The percentage of those who think that this should not be the case increased from 24% to 32% in the same period. The FAZ wrote that anti-Semitism has declined in Germany. This may be the case as far as attitudes and stereotypes are concerned. Far more relevant is the number of anti-Semitic acts, which last year averaged approximately four per day. The government did not appoint a Commissioner for anti-Semitism because of attitudes in the German population, but because of the large number of anti-Semitic acts. The study also asked "is anti-Semitism and hostility toward Jews today a big problem? Or, are we dealing in your view with incidents?" The focus of this question is radically wrong. This demand should be directed toward the Jewish population and not asked of German non-Jews who receive their information from the media. Twenty-three percent of those polled answered that anti-Semitism was a big problem. Fifty eight percent considered that anti-Semitism is a matter of incidents. When the same question was asked about the specific attack on Armush and his companion the figures changed greatly. Only 27% of the interviewed said that it was an incident and 44% said that the attack was a sign of the widespread anti-Semitism amongst Arabs in Germany. As far as the attitude toward Jews murdered in the Holocaust is concerned: Fifty four percent of those polled considered the so called ‘stumbling stones’ as an appropriate way to remember the Jewish victims of the Nazi era while 15% were opposed. Another question asked was whether Germany has a special responsibility toward Israel. Thirty one percent agreed with this while 41% denied it. The younger the interviewees, the less support there was for responsibility to Israel. In the 16 - 29 age group it was only 22%. ...one might mention that the demonization of Jews in Germany under the Nazi regime has been partly replaced by the demonization of Israel. Observing this, one might mention that the demonization of Jews in Germany under the Nazi regime has been partly replaced by the demonization of Israel. A Bielefeld University study from 2014 found that 40% of Germans think that Israel conducts a war of extermination against the Palestinians. A 2015 study from the Bertelsmann Foundation found that 41% think that "Israel is acting toward the Palestinians like Nazis acted towards the Jews." The partially wrong focus of the Allensbach poll helps those who claim that Islamophobia is a bigger problem in Germany than anti-Semitism. The way the study is structured obfuscates a basic issue: Germans in the generation of our grandfathers murdered 6 million Jews. There are many remnants of the prejudices of that time which have largely mutated into demonic anti-Israelism. Germany is the last country which should have let massive numbers of immigrants in to the country without barring those who are anti-Semitic.